Steven J. Leach + Associates joined luxury property developer, Raimon Land at the formal opening of recently completed Baan Mercy Ruamjai Pattana. 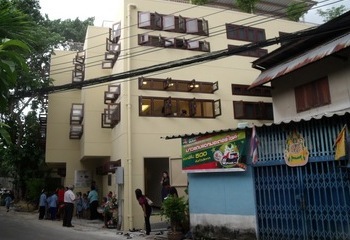 Located in the Khlong Toey district of Bangkok, Mercy Center was completed for the Human Development Foundation to house underprivileged children from that area. Khlong Toey has long been known for its substandard living conditions serving as home to many of Bangkok’s urban poor. Finished in just over twelve months at a cost of 9 Million THB, donated in part by Raimon Land with the support of other suppliers who work with this developer. 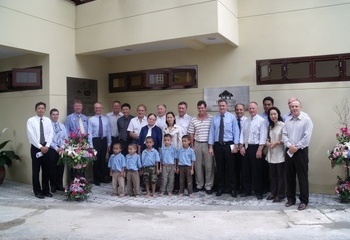 Aside from Steven Leach who are involved as the architects of the project, engineering firms of Meihardt, NET and EEC Lincolne Scott, and contractors Bouygues Thai are also involved.